Special Pre-Christmas Offer On The Blanche Hudson Weekend CD. You Always Loved Violence: Oh yes, like it or not, it's that time of year again. Joy to the world and all that stuff. Well, here at Squirrel we can't help ourselves really when it comes to getting into the Christmas spirit (or more accurately, drinking spirits at Christmas) So, if you haven't purchased a copy of the new Blanche Hudson Weekend CD yet, then we're offering it from now until the end of November only for a special offer price of just �4.50 including shipping to anywhere in the world. From December 1st, this will be back to its normal price of �8.00, so get ordering now and stuff your stocking with 14 blasts of noisy pop for almost half the price. OK, pass me the mulled wine. Pop Threat - Dirt N' Dust CD - Limited (Almost) Half Price Offer. Thanks to everyone who has picked up a copy of the recent Pop Threat : Dirt N' Dust compilation CD. This one has been quite popular, and we figured as we're currently down to the last box full of copies of it, we'd offer this 23 track CD for a special offer price - for a limited period only. So, if you haven't grabbed one yet, then there's never been a better time to do so. If you want to hear pre-Blanche Hudson Weekend and The Manhattan Love Suicides fuzzed up noise pop with more than a hint of Jesus And Mary Chain/Sonic Youth/Velvet Underground inspired tuneage, then this is definitely one for you...STRICTLY LIMITED OFFER. The Blanche Hudson Weekend - You Always Loved Violence CD - Now In Stock!!! Officially not released until next week, but we now have the stock of the new album from The Blanche Hudson Weekend. So, if you've been waiting until release date to place your order, now is the time to do so. Thanks to everyone who has ordered it so far—we've been busy sending out your copies this week. While we're here, we may as well tell you about the next releases on the label. Well, we should say here there's one release confirmed and the other is more of a "we're hoping to put something out by them" situation. Confirmed is the 2nd album from Ailsa Craig, entitled Imperial Cold which will be out soon and then we've discovered a great new band who, if we can get them to actually record anything, will knock your socks off. From what we've heard of the 4 or 5 songs they've written so far, this is a band to genuinely get excited about. If you want raw as hell fuzz and feedback married to pure pop tunes (and we know we always do) then be prepared to get your ears shredded by Girl One And The Grease Guns. Only a 7" single by this 'orrible lot will suffice. Watch this space for more details. The Blanche Hudson Weekend - You Always Loved Violence CD Album - Pre-order Now!!! Pop Threat - Dirt N' Dust: 1999-2003 CD Now In Stock!!! The Pop Threat - Dirt N' Dust: 1999-2003 CD is now in stock. So if you haven't ordered yourself a copy yet, and you'd like to hear what we did before The Manhattan Love Suicides and The Blanche Hudson Weekend, then just push the buy now button and you'll find out. 23 tracks for 8 pounds...now, that's a bargain!!! Laboratory Noise - When Sound Generates Light CD Up For Grabs. 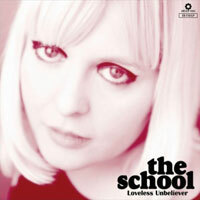 Laboratory Noise - When Sound Generates Light: Shoegaze is a seriously overused term. But when you hear it applied to a band when someone is trying to describe their sound, you know what to expect. We wouldn't dream of doing such a thing here at Squirrel and lazily labelling a band like that, so instead we'll just let you know we've got some copies of the fantastic album from Laboratory Noise - When Sound Generates Light - for you to purchase. 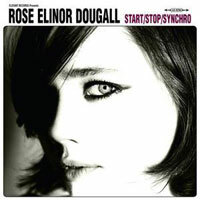 If you like your guitars sounding massive and your music to pummel your senses, if you like to be taken on a sonic journey the likes of which you've rarely been on since My Bloody Valentine unleashed Loveless onto the world, then you've got to grab a copy of this CD. Ladies and Gentlemen, we truly are floating in space!! Limited Supply of The Blanche Hudson Weekend/Horowitz Split 7" on Odd Box Records. We've just received a box full of copies of The Blanche Hudson Weekend / Horowitz split 7" released on the wonderful Odd Box Records. This particular 7" is usually sold as a 3 single deluxe pack with bag, badges and stickers - but you need to shoot on over to Odd Box to get that. Here we have just one of the 7"s up for grabs, and it comes in standard paper white sleeve. Highly collectable, and strictly limited edition. Squirrel Records Summer Sale - Even Further Reductions For You!!! 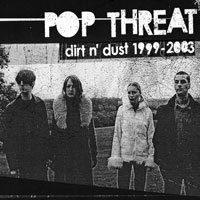 Pop Threat - Dirt N' Dust : 1999 - 2003 Available For Pre-order Now. As promised a couple of weeks ago, the next release on Squirrel Records is the 23 track Pop Threat compilation CD... and it's now available to pre-order. The official release date is still a few weeks away (25th July) but as usual, if we get the finished copies back from the pressing plant any earlier than that, we'll send 'em out to you. 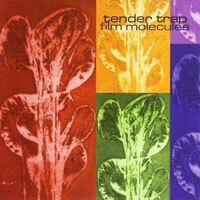 We've had a great time digging into the Squirrel Records vaults to bring you this CD, so we hope you like it. It wasn't always an easy task tracking down some of these old recordings, but it was definitely worth it in the end. New Squirrel Records Releases Coming Soon: First Up� The Pop Threat Compilation CD. After a lot of messing around and delays we can finally announce the upcoming release of the Pop Threat compilation CD on Squirrel Records. Entitled "Dirt N' Dust : 1999-2003", this CD will contain almost everything Pop Threat ever recorded and released, and even a couple of previously unreleased tracks too. Included is every track from the long deleted, out of print and now virtually impossible to find Squirrel Records 7" singles, plus a handful of recordings released on Mook Records too. 23 tracks in total. Before The Blanche Hudson Weekend, before The Manhattan Love Suicides, there was Pop Threat... and it was rough n' raw sounding, that's for sure. 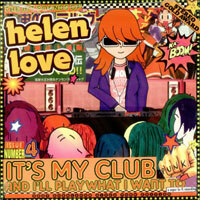 This CD will be available to pre-order within the next couple of weeks, so keep your eye out for it. In other news... The Blanche Hudson Weekend are currently in the middle of recording their "proper" debut album which is titled "You Always Loved Violence" and is scheduled to be released around late July/early August. And finally, keep your eyes peeled for the 2nd album by Ailsa Craig which will hopefully be released around the same time as The Blanche Hudson Weekend album. Titled "Imperial Cold", this is going to be one heck of a great listening experience. Squirrel Records Spring Clean Sale Now On!!!! It's that time again to clear out some space for future Squirrel Records releases. Here, in the little cupboard in which we reside, we only have limited room, and as we have some new stuff in the pipeline for 2011, we thought we'd chuck out some of our lovely stock at, quite frankly, ridiculously cheap prices. These will be available for a limited time only, so please be quick if you want to grab yourself a bargain. All prices include shipping. What more could you ask for? Reverence, Severance And Spite CD - Temporarily Out Of Stock! The first pressing of The Blanche Hudson Weekend Reverence, Severance And Spite compilation CD has now sold out. We're going to re-press it though, so if you haven't got yours yet and want to buy it, it'll be available again from us here within the next few weeks. In the meantime, if you simply just can't wait, it should be available at your local independent record shop, or try Amazon/eBay/all the usual places. 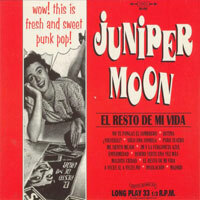 Great New CDs And 7"s In Stock Now From Elefant Records - Please Be Quick!!! The fantastic Elefant Records in Spain have sent us a bunch of their excellent releases on their label for you to purchase. 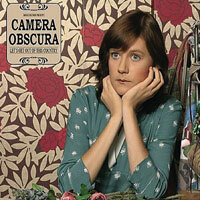 We're not talking your average little pop bands here either—we've got limited supplies available of stuff by Camera Obscura, Helen Love, The School, an absolute gem of an album by Juniper Moon, Tender Trap, plus some 7" singles from legendary indie poppers Television Personalities and a great solo 7" from ex-Pipette Rose Elinor Dougall. This is limited stock and won't be around forever, so please be quick and grab yourself a nice bargain today. After 10 years at the same address... We're moving. All these years, since starting the label in 2001, we've had the same PO Box address, but this is unfortunately having to come to an end. We're still accepting demos from anyone who wants to send us anything, but if you want to post CDs / 7" singles / LPs / fan mail / hate mail / marriage proposals to us, then please contact us by email first and we will supply you with an address where you can send your goodies to. 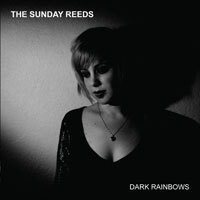 Happy New Year - The Sunday Reeds - Dark Rainbows CD EP - Pre-order Now!! Happy New Year to all our loyal Squirrel customers and fans. Hope you all had a great festive time, and here's to a wonderful 2011. In April this year, Squirrel Records will be 10 years old. 10 years of fuzzed up punk pop, lo-fi, DIY noise and fury... and we're just going to keep the new releases coming at you. 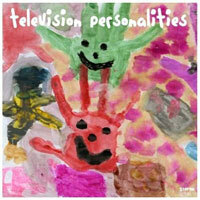 So, with that in mind... you can now pre-order the fantastic new 5 track CD EP by The Sunday Reeds. This won't be released until February 21st, but if demand for this is anything like the demand for their debut album, then we figured we'd make it available for pre-order right now. You know what to do, Squirrelers.